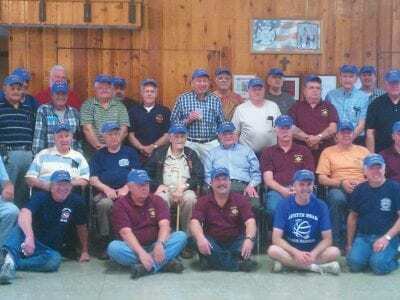 The Mahopac Falls FD Old Timers pause for a class photo. Old timers received kudos and applause at Mahopac Falls FD headquarters when the department hosted its 27th annual Old Timers Breakfast. 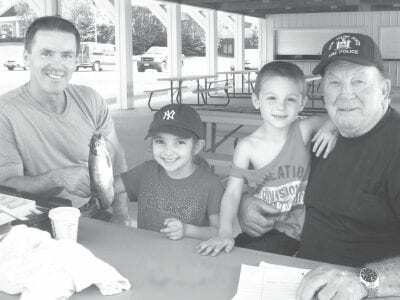 The department this year is celebrating 75 years of serv… Please login below or purchase a subscription to the Putnam County Courier to access this content. Atop therapy horse Khol, Kate Banfield of Brewster shows off her awardwinning half-seat position at the trot. 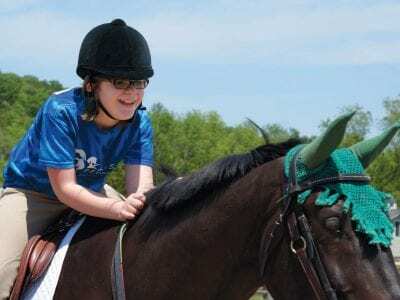 Amid a cheering crowd of family, friends and proud instructors, student Kate Banfield of Brewster earned her class’s Best Half Seat aw… Please login below or purchase a subscription to the Putnam County Courier to access this content. Lakeview Elementary School students prepare to send 611 pair of sneakers to Nike for recycling. Joining the youngsters are Principal Jennifer Pontillo and teachers Greg Fitts and Donn Tobin. Six hundred pair of well-worn sneakers are getting new life… Please login below or purchase a subscription to the Putnam County Courier to access this content. A break-in, a manhunt, a capture, an interrogation, an escape, and a second manhunt — Friday was a day to remember for law enforcement personnel in Putnam County. Following a four-hour long manhunt that resulted in the arrests of two men want… Please login below or purchase a subscription to the Putnam County Courier to access this content. A Mahopac woman is lucky to be alive after slipping through a space between a railroad platform and a moving train at the Southeast Metro North station. The bizarre incident occurred Friday evening before dozens of horrified commuters. Railroad spok… Please login below or purchase a subscription to the Putnam County Courier to access this content.